Like most people on Pinterest, I have become a fan of DIYs and although I must admit not all projects come out great, this DIY lush like bath bomb recipe is amazing and super easy to follow. I have modified it a little to make sure it does not include ingredients that may be harmful to your skin. Incorporate all dry ingredients into a bowl and mix with a whisk. In a separate container, mix all the liquid ingredients well. Choose the essential oil fragrance and the color that you like the most. A lavender fragrance is a perfect fit to a night bath to help you relax and sleep well. 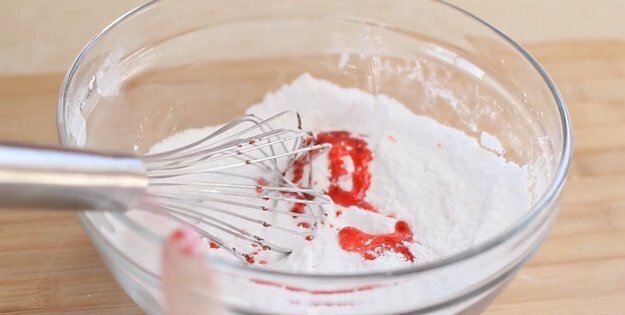 Slowly incorporate the liquid mix to the bowl containing the dry ingredients (one tablespoon at a time) This will help avoid the mixture from rising from the effervescent reaction of the baking soda. After all ingredients are mixed well and you achieve a humid beach sand like texture proceed to packing the mixture tightly into a bath bomb mold. You can also use a cookie mold as well. Did you try this out? Let me know how it went in the comments! Previous: Previous post: The best makeup app ever!